I captured all of the footage you see in this video, and this is a slightly altered version of what I use in the current version of The Animal Show. This piece was my first attempt to use video and music together in a live setting and I am so happy with how it came out. Here’s hoping it translates as well to the digital realm here on these internets. 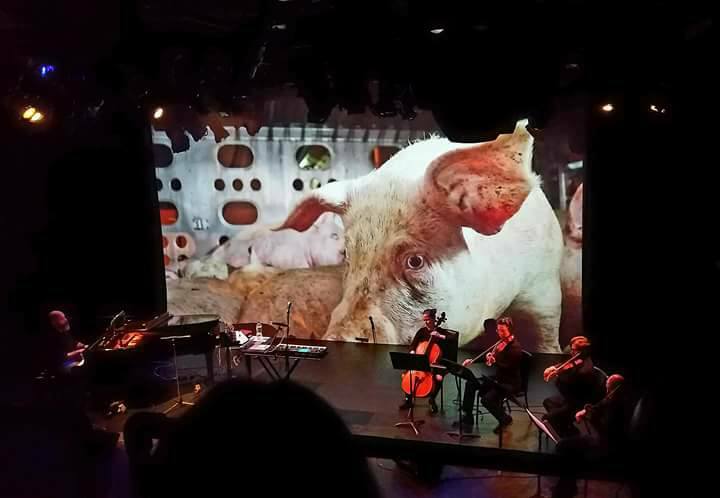 I premiered the piece at Symphony Space here in New York City during the Compassion Arts Festival on October 22, 2017, after which time I added it to the current version of The Animal Show. The story of that vigil didn’t make it into the show, but it is in The Animal Book. Order a copy directly from me here (let me know if you want it signed! ), or in all the digital formats here. Take a look and share the video if you feel so moved.